So you’re out on your bike and you’ve found a fantastic set of switchbacks that would look amazing if shot on a drone. But the problem is, there are rules in place to say you can’t fly your drone in the area, but even if that wasn’t the case the trees are too tightly packed and there are simply too many branches and obstacles to fly around. Oh, and you’re not a licenced drone pilot… But not to worry, you can still get that shot. What is the Wiral Lite? 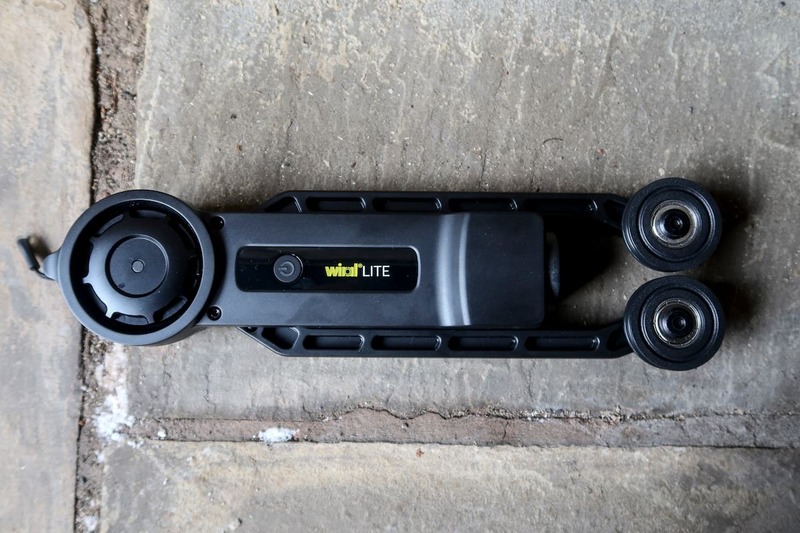 Enter the Wiral Lite, a motorised camera unit that runs on its own cable and can be controlled wirelessly with its own remote control. The Wiral Lite folded and ready to travel. Like many innovative tech products, the Wiral Lite started out as a start-up over on Kickstarter, the project promised an “affordable and easy to use cable cam for GoPro and cameras up to 3.3lbs”, those promises managed to gather enough attention and positivity that over 4000 people backed the project and raised a grand total of $1,055,480! 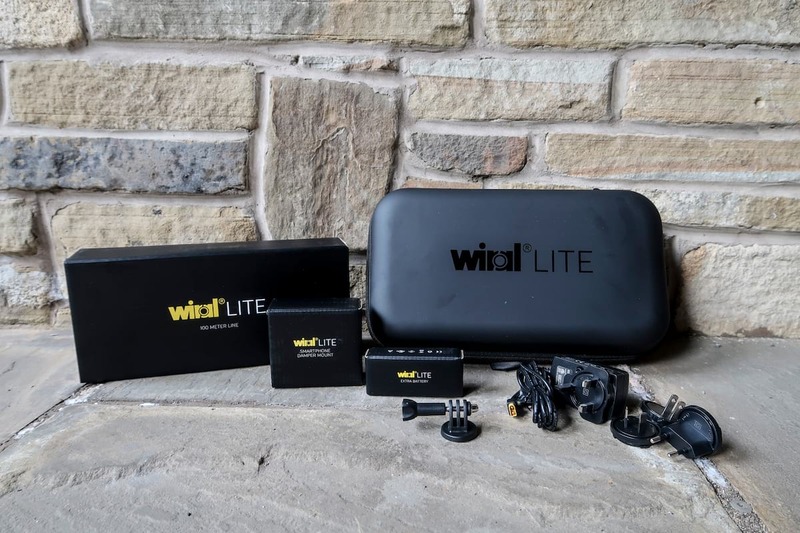 We saw the potential of the system and backed the start-up back in October of 2017, and after just over a year of waiting our Wiral Lite has arrived and is now ready to be put to good use. We received all of this in our Ultimate package. Backers of the project were invited to get into Wiral Lite ownership from as little as $169 but we opted for the more expensive Wiral Lite Ultimate Kit featuring the standard Wiral Lite bundle, plus an external battery charger, extra battery, mobile camera mount, and an extra 100m of rope. Wiral developed the Quick Reel for fast and easy installation. Included in the standard bundle is the Wiral Lite cable cam unit, remote control with 200m range and 50m of rope attached to a Patent Pending Quick Reel system that promises to get you up and running in under 3 minutes. This standard bundle comes in its own carry case for safe and easy storage and transportation. 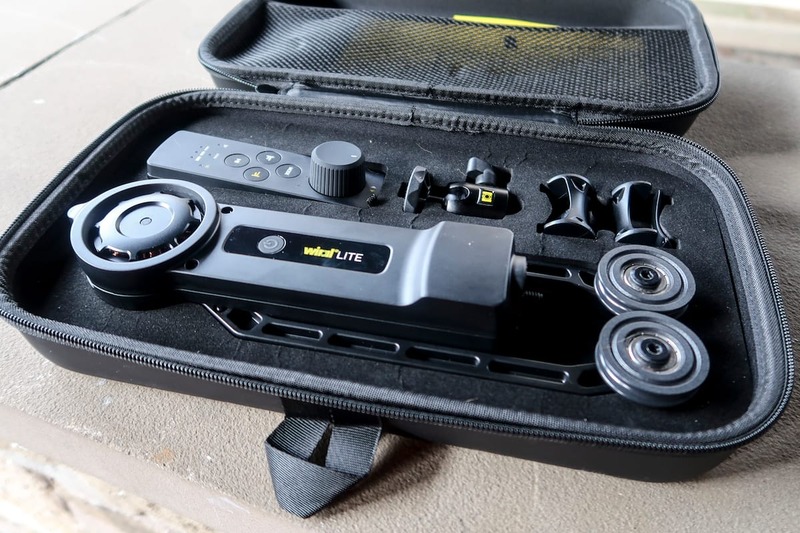 The idea behind the Wiral Lite is to allow videographers to capture unique aerial footage easily and safely. Although drones are easily available, new laws and restrictions mean that it’s not always possible to use them where you want to. Then there’s also the difficulty in flying a drone plus the dangers involved in doing so. The remote has a 200m range and is much easier to use than a drone controller. The Wiral Lite promises to solve these issues by being more affordable, safer and much easier to control even for beginners, in fact, the main control is a simple dial that sets the direction and speed the Wiral Lite will move in, and because it runs on a powerful motor you can run the cable cam up or down the rope for even more versatility. 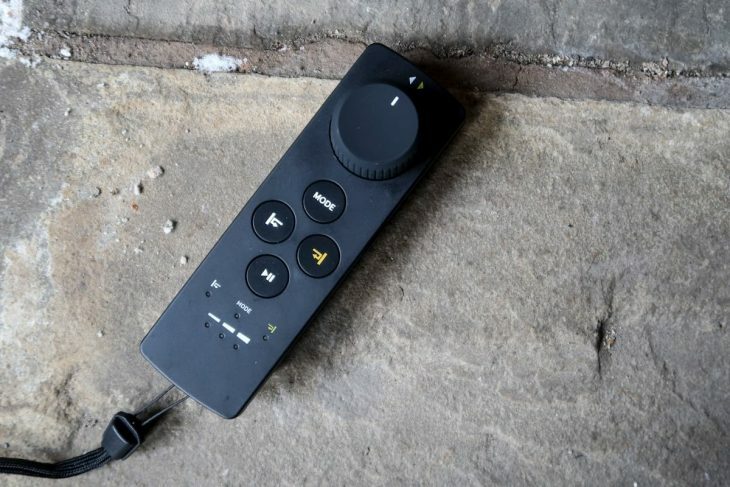 The simple remote also has buttons to set the start and end point of your rope and a button to switch from time-lapse mode to ‘normal’ mode that can see the cable camera travel at up to 28 mph. Up and running in 3 easy steps. Although we’ve not taken the system outdoors to try yet, the idea behind it is very simple. 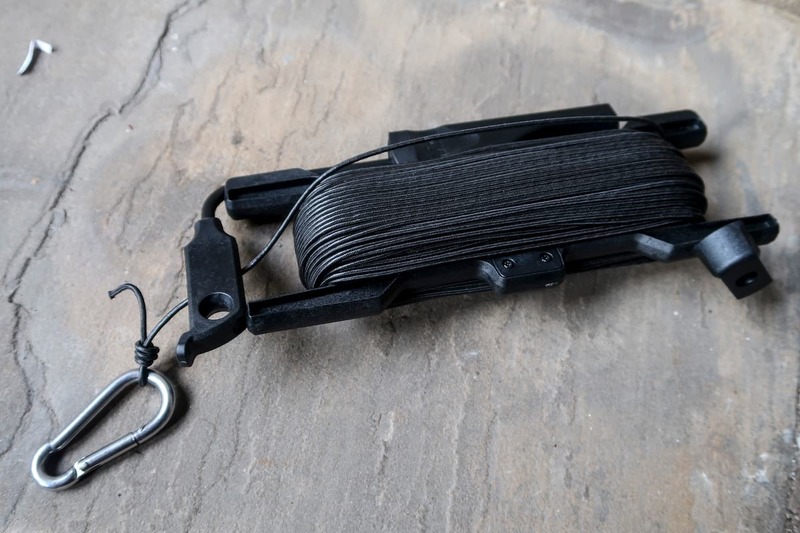 First, you attach your rope to two stationary objects such as trees, then use the Pull Strap to tighten the rope and add tension, then finally mount your Wiral Lite to the line. The mobile camera mount is an extra. 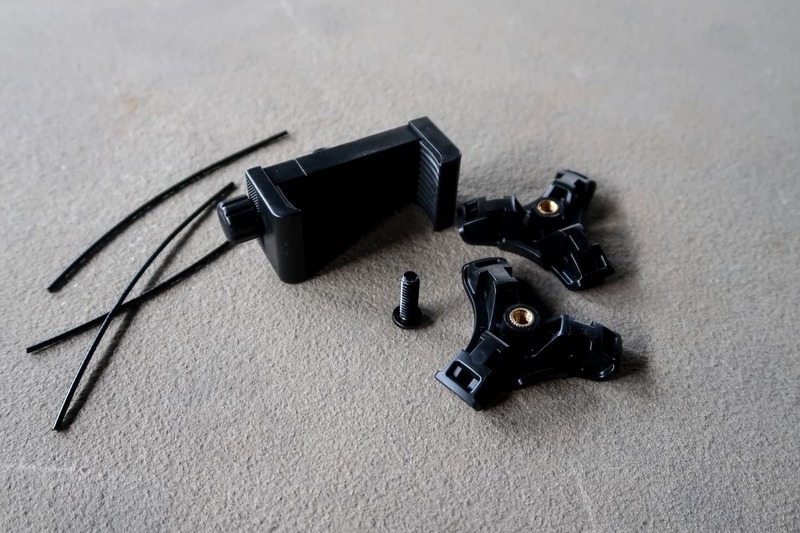 A standard tripod mount means plenty of camera options will work with Wiral Lite. The GoPro mount is sure to get the most use. The Wiral Lite unit is a compact motorised device with 2 fold out arms making it super easy to pop in a bag and transport. 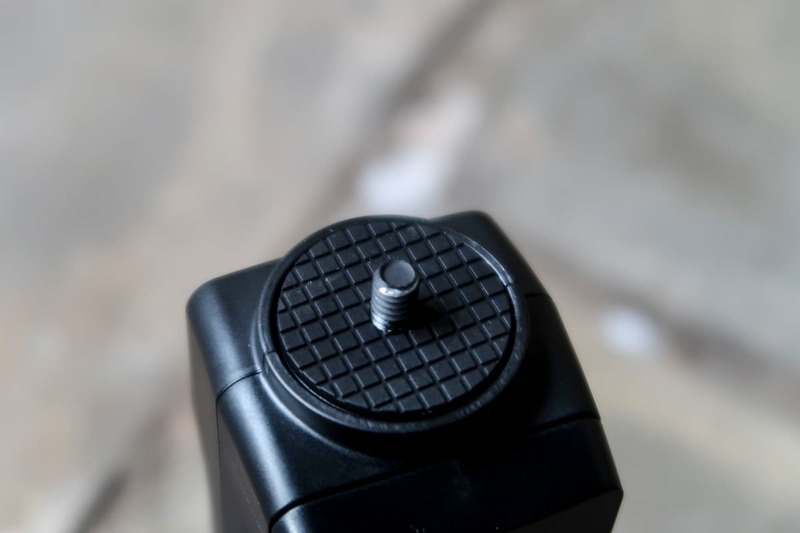 The device has a standard tripod thread mount to the bottom where you’re able to attach different camera accessories depending on what type of camera you plan to use with it. 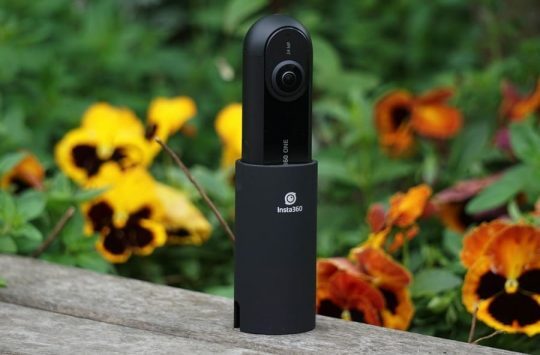 Although Wiral specifically mentions GoPro’s as the go-to camera for the Wiral Lite, you could also attach and Insta 360 OneX camera, or even a digital camera as long as it doesn’t weigh more than 3.3lbs. All packed and ready to shoot. First impressions are pretty good. The design of the Quick Reel is very smart and is sure to help us get the cable camera set up and packed away in just a matter of minutes. 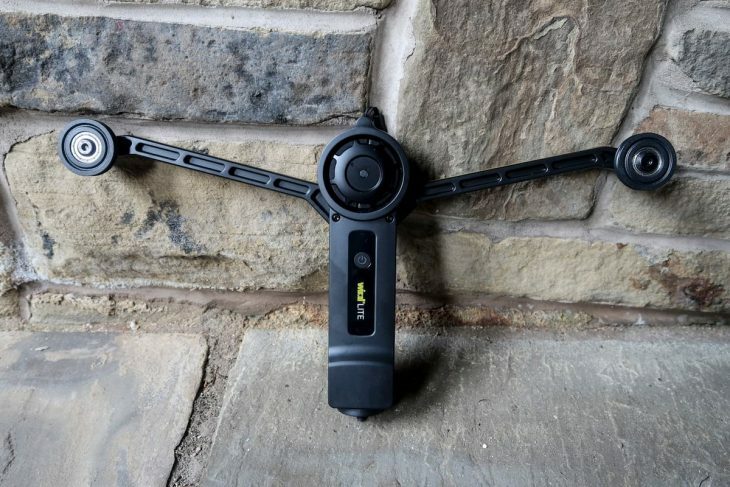 The control feels durable and simple enough for even Ross to use, plus the Wiral Lite unit feels well made, although we do wonder if it will survive a 28 mph crash, something which we’re sure is going to happen while we learn to use it. What’s next is for us to take the Wiral Lite out for a play and get some riding footage with it, something we plan on doing very soon. 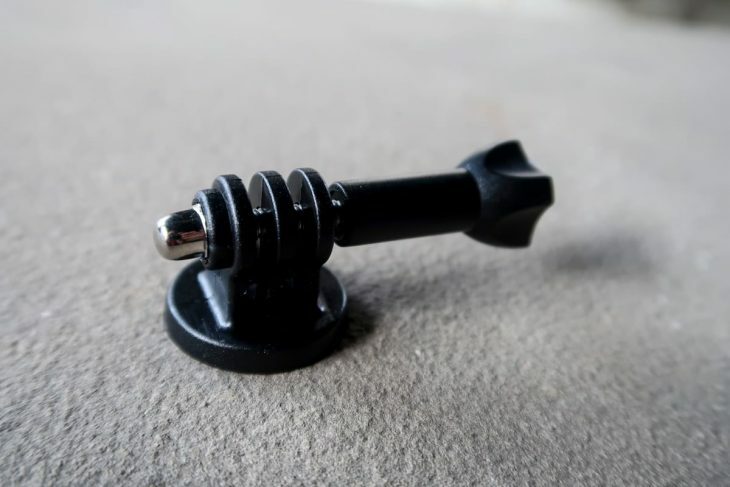 In the meantime, if you have any questions about this cable camera accessory feel free to let us know in the comments section below.